I got this for my 5 1/2 yr old son (who plays lots of soccer!) and it fits great! very easy to use and also looks cool!It's also affordable compared to the $90 for a custom fit. Great price point for a mouthpiece that my kids have to use for football. They're also a little tougher for them to chew through since my boys think these are meant to be chew toys! The cheaper ones barely last a season. 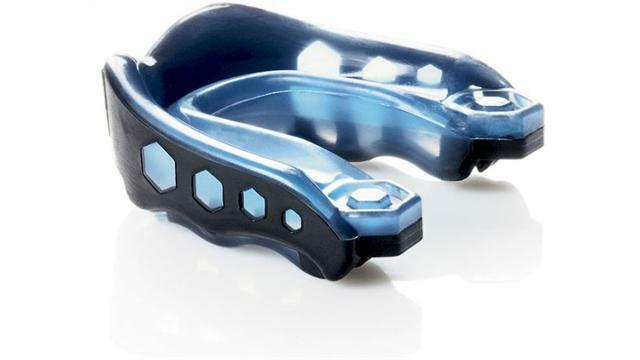 We purchased this for our 6 year old daughter to use in her Tae Kwon Do classes.It was much easier to mold to her mouth then the standard mouthguards you can buy.She said it fits better and does not cut into her gums. We have noticed that it stays in her mouth better and she can actually talk with it in and you can understand her. This is the only mouthguard we will be purchasing from now on.